The 2019 Toyota Camry has been unveiled in Thailand. It gets a bigger wheelbase, feature additions and some revisions to the design work of the sedan. It will come to India by end of 2019. New Camry has been unveiled in Thailand. A good thing is that a very similar looking Camry to the Thailand-spec will be launching in India by 2019. The 2019 Toyota Camry receives some heavy cosmetic changes, some feature additions and a bigger wheelbase. The new Thailand Camry looks similar to the US model. Usually, the US Camry looks different than the one that we get here. Camry is one of the best selling models in its segment, because of its hybrid engine option. 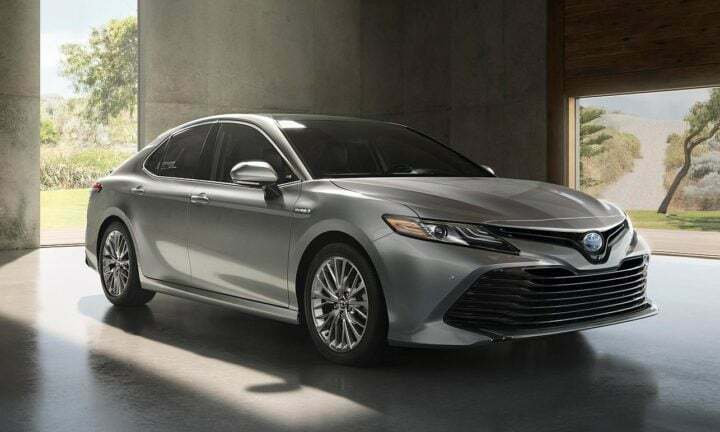 The 2019 Toyota Camry gets a newly designed bumper and front grille. It gets a very large front grille housing the fog lamps as well, a revised set of LED headlamps and a revised bonnet design too. The alloy wheels are also new, making it look a bit more sporty than the earlier generation. On the rear side, revisions are seen on the bumper and tail light section. 2019 Toyota Camry uses the global TNGA platform. It also sees an increase in its dimensions. The new Camry is now 35 mm longer, 15 mm wider and 25 mm taller. The wheelbase has also increased by 50mm, which means more legroom in the cabin. New Camry gets a host of safety features. It comes with traction control, ABS, EBD, Blind Spot monitoring, Rear-Cross Traffic alert, hill-start control and 7-airbags as standard fitments. Higher variants come with lane departure warning, pre-collision system, radar cruise control and automatic high-beam lights. However, most of the features would not make it to the Indian-spec. Other features include LED headlights and taillights, 8-way adjustable power front seats, leather upholstery, wireless charging, keyless entry, 4.2-inch MID instrument cluster as standard fitments. Higher models come with a heads-up display, rear reclining seats, 9-airbags and onboard WiFi. The 2019 Toyota Camry comes with a 2.0 Litre petrol engine that puts out 165 BHP and 197 Nm of peak torque. It also gets an optional 2.5 Litre petrol engine that puts out 209 BHP and 250 Nm of peak torque. The 2.0-litre engine comes with a 6-speed torque converter unit and the other engine comes with an 8-speed torque converter. In India, Camry comes only in Hybrid model. The new Camry also receives a 2.5 Litre Hybrid engine that puts out 211 BHP and 202 Nm of peak torque. The engine pairs up with a CVT gearbox. In India, the Camry competes with the likes of Skoda Superb and Honda Accord Hybrid. The Camry hybrid comes at a price tag of Rs 37.23 Lakhs (ex-showroom Gurgaon).